The residential construction market may have its ups and downs, but the need to keep your construction knowledge current never lets up. Coverage of contemporary issues in residential construction—aging in place, new urbanism, vacation and small homes, historic residences…it’s all here. Dennis J. Hall, FAIA, FCSI is founder and managing principal of HALL I Building Information Group, LLC and Hall Architects, Inc. in Charlotte, North Carolina. He is the 2011 President of the Construction Specifications Institute and also serves on the OmniClass Construction Classification System Development Committee. Nina M. Giglio, Assoc. AIA, CSI is President of HALL I Building Information Group, LLC and Director of Specifications for Hall Architects, Inc. She is the 2011 President of Specification Consultants in Independent Practice and a member of the CSI Technical Committee. The American Institute of Architects (AIA) is America’s largest and oldest professional society for architects. The AIA offers continuing education, conferences, and professional information to its membership and their clients. Founded in 1857, the AIA celebrated its 150th anniversary in 2007. 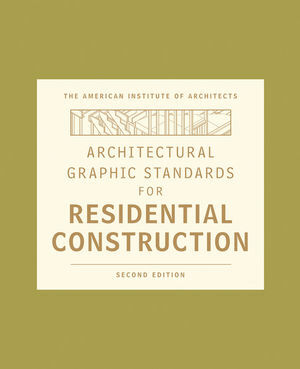 INTRODUCTION: MANAGING BUILDING INFORMATION: THE EVOLUTION OF ARCHITECTURAL GRAPHIC STANDARDS FOR RESIDENTIAL CONSTRUCTION. 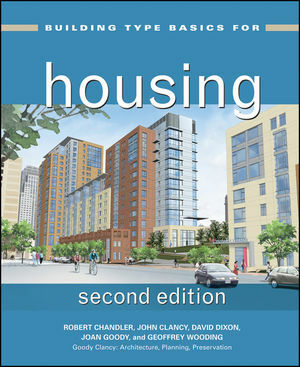 CHAPTER 1: BASICS OF RESIDENTIAL DESIGN. CHAPTER 3: ANCILLARY AND UNINHABITABLE SPACES. CHAPTER 9: EQUIPMENT AND FURNISHINGS. Masonry Anchorage, Reinforcing, and Accessories. Panel Products and Wood Veneers. SECTION 4: CONTEMPORARY ISSUES IN RESIDENTIAL CONSTRUCTION. CHAPTER 16: AGING IN PLACE. CHAPTER 17: BUILDING INFORMATION MODELING (BIM) FOR RESIDENTIAL CONSTRUCTION. Precursors to BIM in Residential Design. Simulation, Calculation, and Analysis with BIM. Standard Methods—the "I" in BIM. CHAPTER 18: SUSTAINABLE RATING SYSTEMS FOR HOMES. Sustainability in Remodeling Existing Homes. 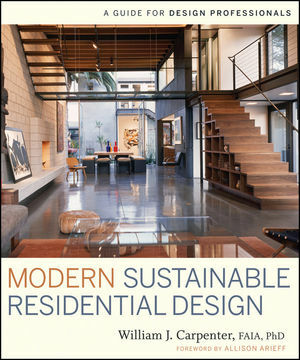 CHAPTER 19: EMERGING TRENDS IN RESIDENTIAL DESIGN AND CONSTRUCTION. AIA Home Design Trends Survey. SECTION 5: SAMPLE RESIDENTIAL PROJECT. CHAPTER 21: MOUNTAIN CABIN: STERLING, NC. Standard Form of Agreement between the Owner and the Architect. Standard Form of Agreement between the Owner and the Contractor. Application and Certificate for Payment and Continuation Sheet.